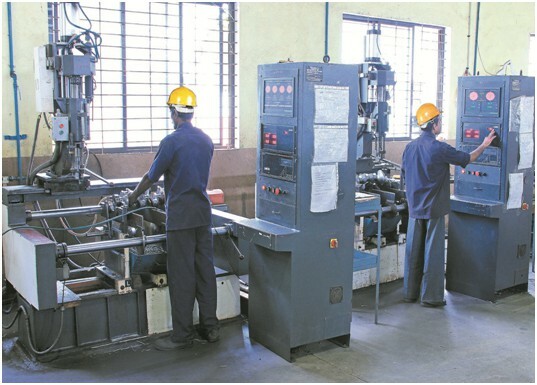 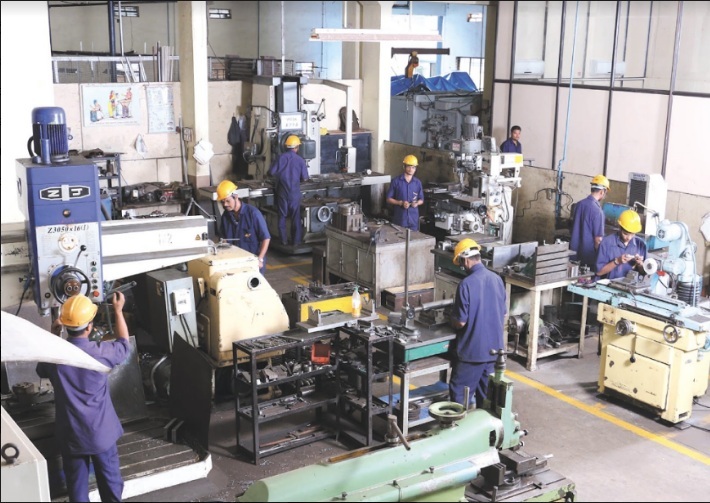 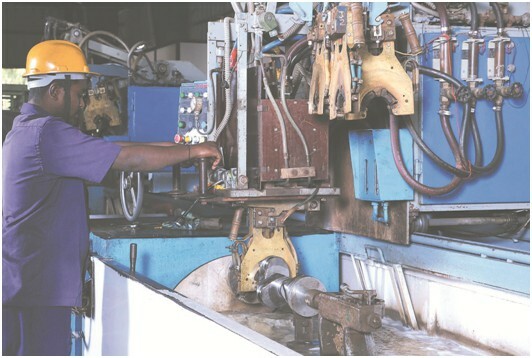 'Balu' is equipped with an In-house Tool room to provide flexibility & speed in manufacturing & reduce dependence on outsourcing to provide a swifter development time to our customers. 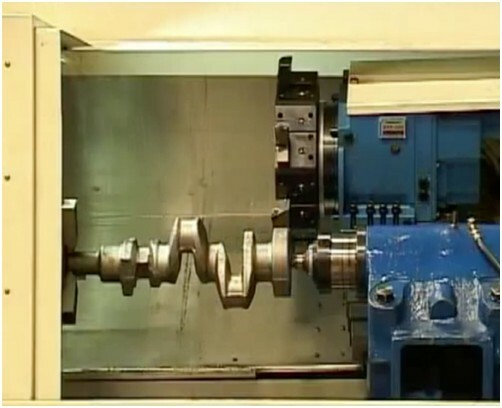 The Facing & Centering is the process of reduction of the initial imbalance of the crankshaft to be machined, thus assist in the final balancing accuracy of the crankshaft. 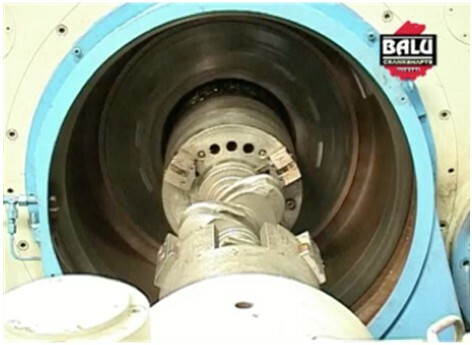 A reduction in imbalance means less mass to reduced from the balancing weight during the process of balancing and alignment. 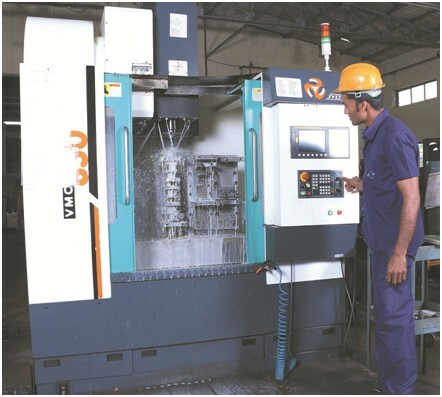 CNC (Computerized Numerical Control) is the automation of machine tools that are operated by precisely programmed commands encoded on a storage medium. 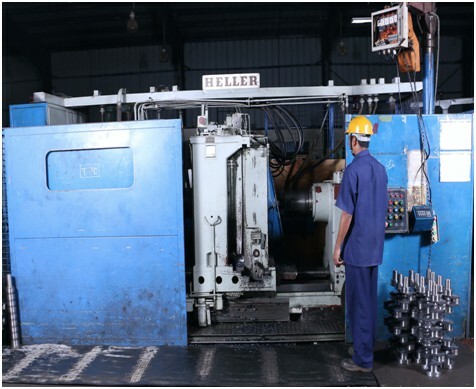 ‘Balu’ boasts of a turning & milling infrastructure consisting of Heller & George Fisher machinery amongst others. 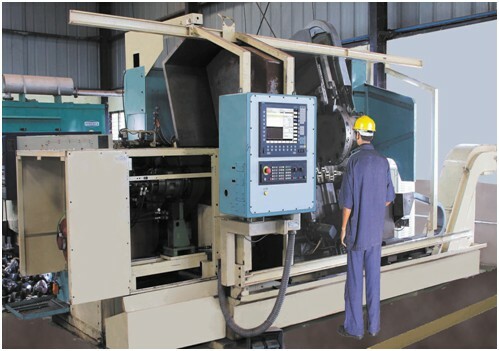 It is a process for drilling oil holes in a crankshaft. 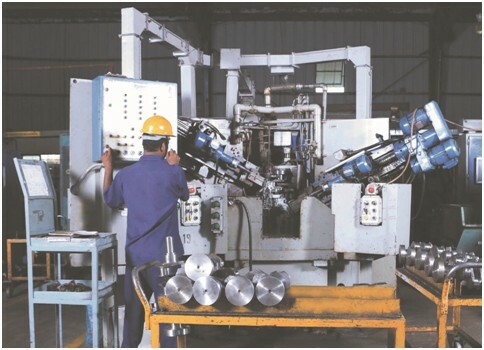 The process includes the steps of placing the crankshaft in a horizontal or vertical position as per machinery in a crankshaft holding unit and maintaining the crankshaft in a single position through the drilling process. 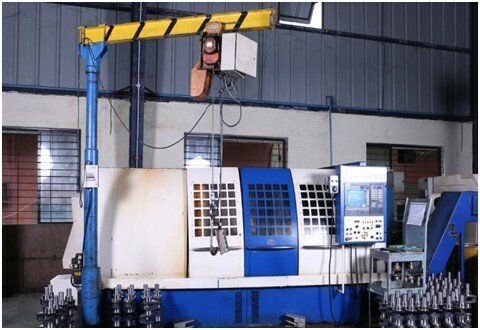 The holding unit is then rotated on a vertical axis until the crankshaft faces the drilling unit & the holes are drilled. 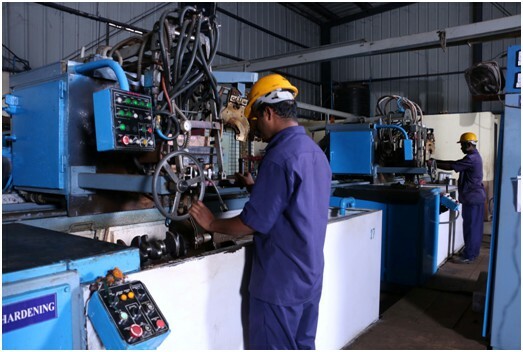 The company has a complete integrated heat treatment infrastructure. 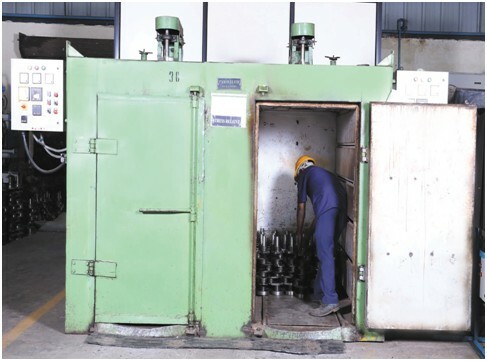 The journals are induction hardened by inserting the coils around the journals & passing heat at 800°C. 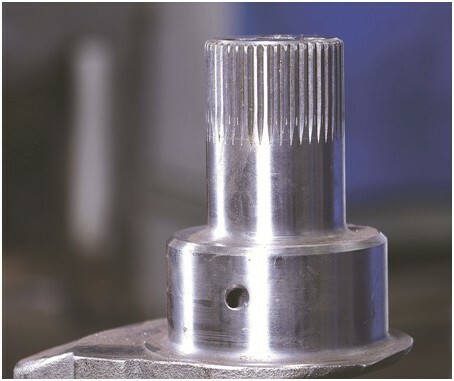 The hardness of the journals is achieved to a depth of 5 mm. 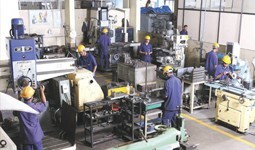 There is also a provision to fillet harden the journals as per customer requirement. 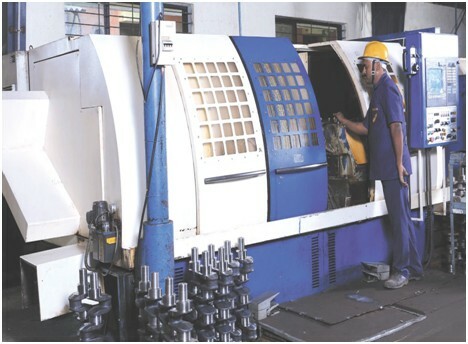 We maintain an average hardness as per OEM specification of 56-62 HRC. 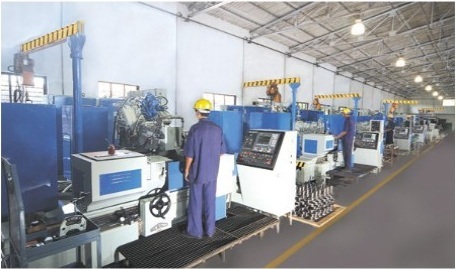 The company has achieved 10 million cycles in crankshafts manufactured without any breakage on the same, tested & approved by ARAI(Automotive Research Association of India) which is a Government of India company. 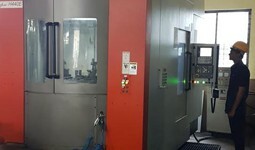 Stress relieving is done by subjecting the crankshaft to a temperature of about 650 ºC (1202 ºF) for about one hour or till the whole part reaches the temperature. 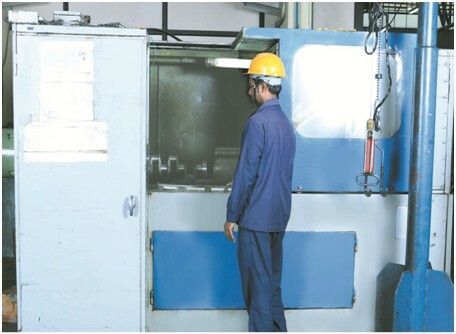 This temperature can be adjusted as per customer requirement This removes more than 90% of the internal stresses. 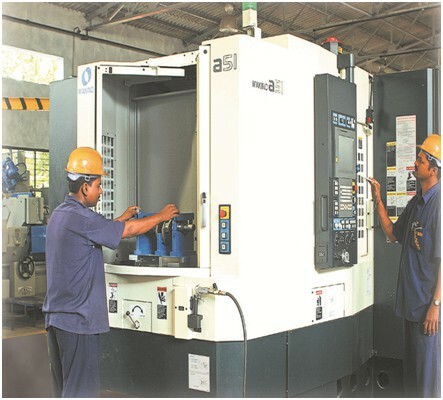 The presence of the state of the Art Newall grinders on our machining line offers an advantage in terms of speed & accuracy. 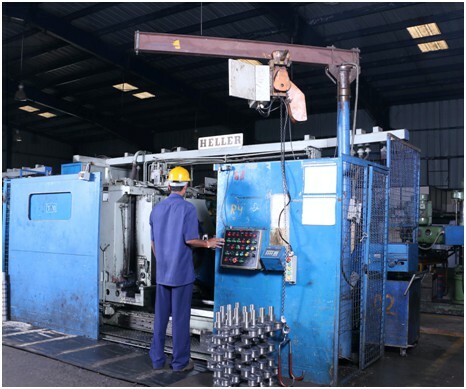 The infrastructure consists of 20 Newall grinders which were purchased from the Ursus factory in Poland. 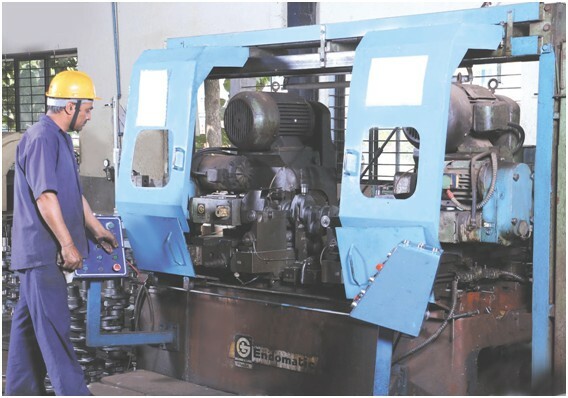 These grinders with a large capacity enable the company to produce 1000 fully finished crankshafts on each working day. 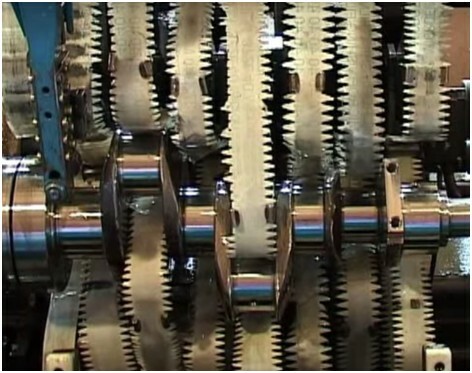 The sum of these processes optimises the running behaviour of the crankshaft in the engine and ensures that natural vibrations are as low as possible. 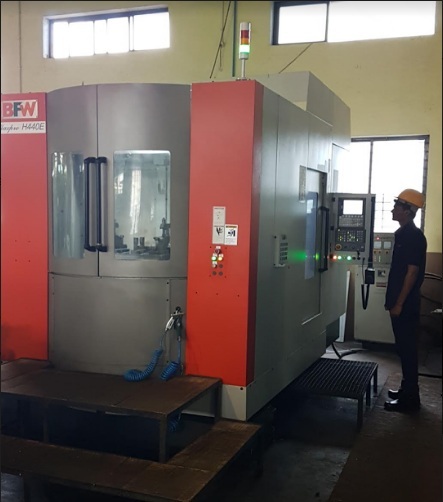 Our computer-controlled balancing machines can dynamically balance crankshafts with a length of up to 2.5 m.
All post grinding operations are carried out on our 4-Axis HMC (Horizontal Machining Centre) & VMC (Vertical Machining Centre). 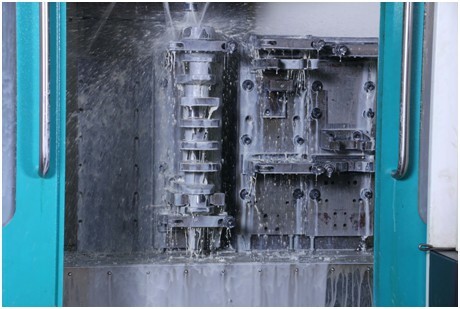 The presence of Makino offers the competitive edge & shorter lead times with greater accuracy in crankshaft post grinding operations. 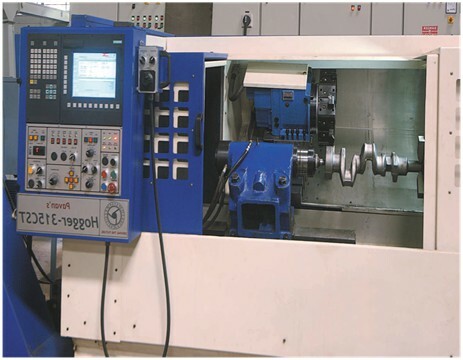 A very special CNC special purpose machine is utilized for the purpose of producing the Serration on the gear end of specific crankshafts which may have a requirement for the same The process is called "deep rolling on serration". 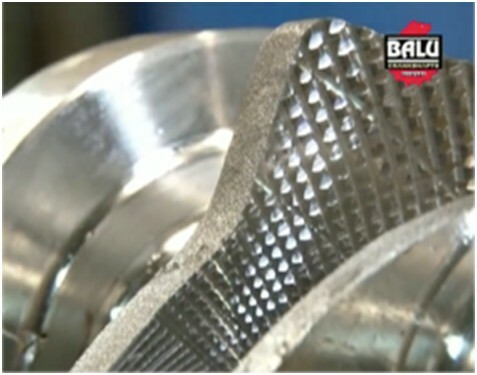 The surface finish is a key process to ensure the smooth running of the engine. 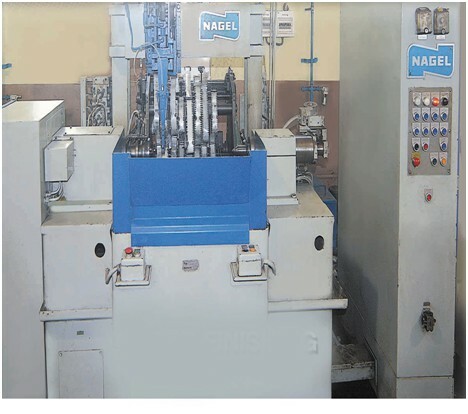 All crankshafts undergo the process of auto lapping on the Nagel machinery to achieve a surface finish of 0.15 RA to 0.20 RA or if there is any specific requirement of a customer. 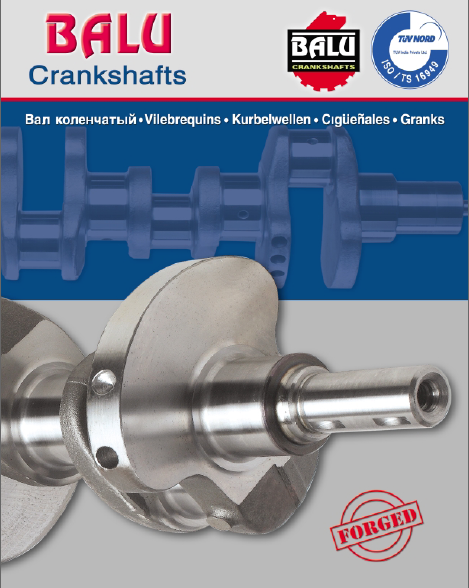 We do not only manufacture & supply crankshafts, we supply ready-to-install crankshaft for manufacturers. 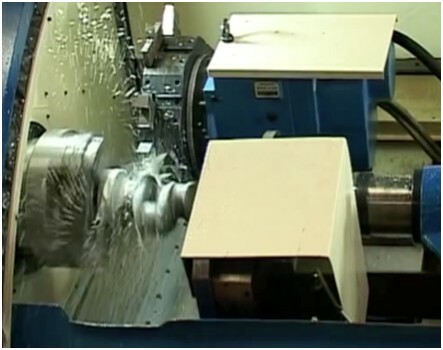 This also includes the production and assembly of counterweights and crankshaft gears.